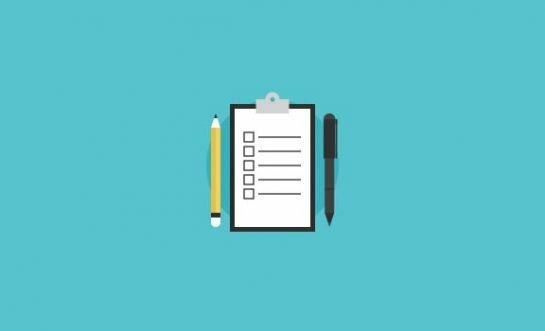 In 2018 it’s no longer enough to write some good content with relevant keywords and sit back and wait for the traffic to flood in. Websites, like people, are now expected to have their own Facebook pages and building an audience from social channels is just as, if not more important, than building organic search traffic. Over 70% of adult internet users use Facebook and social media now drives around a third of overall traffic to websites. You can of course just post links to your posts on your own social media channels and hope that other people share them too. But you’re much more likely to encourage readers to share them on their own feeds if you make it easy for them. This means providing a quick button that they can click to share instantly, rather than having to go to the hassle of copying and pasting the URL. Thankfully there are plenty of plugins that handle this job for you so you don’t have to go around cutting and pasting code snippets from the various social networks. While there are a lot of social plugins, it’s not always easy to find one that works well, looks great, and has all the features you’re looking for. To help you choose we’ve summarized some of the most popular plugins so you can get a better idea of which ones will work for you. Social Warfare adds beautiful social buttons to your site that can be matched to your branding, look great on any size screen and you can customize the colors however you wish. You can also choose where you want the buttons to appear – either above or below the post content (or both), or opt for manual placement. Speedy loading times are also prioritized with this plugin, so you don’t have to worry about it slowing your site down. A custom widget allows you to list your most popular posts based on social shares and you can display your share counts prominently on your posts. This is a really nicely designed plugin both on the frontend and backend, which is easy to use with drop down boxes for options and drag and drop functionality for button position. If you want a slick-looking social sharing plugin with lots of great features, Social Warfare could well be the one. Pinterest specific images and description. Social Warfare Pro costs $29 per year for a single site. The ShareThis widget can place buttons either at specific locations on a page of your WordPress website such as under headlines, or you can stick the buttons to the side of your screen (the bottom on mobile) so they’re visible at all times. If you want a lightweight, simple plugin that won’t slow down your site, without lots of additional features you know you won’t use, ShareThis works really well. Just because it’s a simple plugin doesn’t mean it doesn’t look great either – the buttons are designed in a modern flat style so they won’t conflict with your theme and they look great at any size. You can opt for square or rounded corners and adjust spacing, alignment, and labels to your liking. Monarch is a social sharing plugin that comes as part of the membership for Elegant Themes and so as you would expect from a team focused on design, it looks great. Sharing buttons can be added in five different locations including as a floating sidebar, above or below content, on images or videos, or as an automatic pop-up or fly-in triggered by scrolling, commenting, or other user interactions. 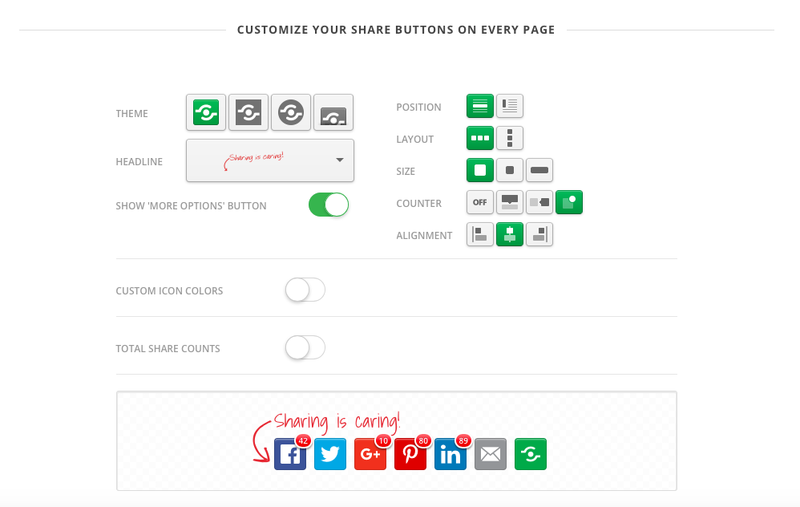 These extra display options can be really effective at encouraging sharing of your content. You can also add buttons anywhere in your design or content with a shortcode. There are 3 button shapes to choose from, and various hover effects. Everything such as color, alignment, and button labels is customizable so this is a really flexible plugin when it comes to getting it look exactly the way you want to fit in with your design. All the buttons styles are fully responsive and look great even on the smallest screens. Performance hasn’t been sacrificed for looks either, as caching of share and follow counts is used to make sure it runs fast. As well as an easy-to-use dashboard for setting up and customizing your buttons, you also have access to statistics about shares, follows, and likes. 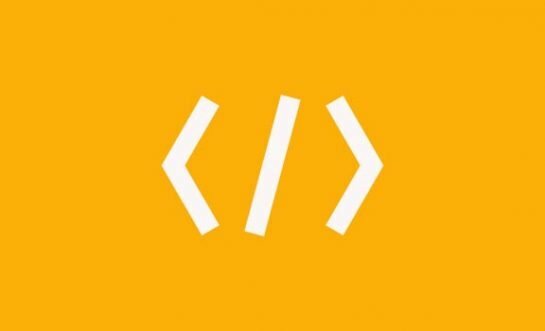 While some plugins only support the most popular social network, Monarch supports over 35 networks including some more obscure ones like Hacker News, and networks that are popular in other countries such as Vkontakte and Baidu, so wherever you want to share your content it’s probably in the list. Monarch is included in Elegant Themes membership, which costs $89 a year for all themes (87 at last count) and two other plugins. This is a really beautiful plugin that’s clean, fast, and simply works well. It’s probably not worth the membership for the plugin alone but if you frequently build sites and want access to lots of premium themes, an Elegant Themes membership is well worth considering. If you are already a member of Elegant Themes, using Monarch for your social sharing is a no brainer. Pretty much all the plugins on this list are well designed (nobody wants to stick ugly social share buttons on their site) but Easy Social Share buttons takes things one step further with many different button styles, over 50 button templates, and 25+ animation effects to make them really stand out. As well as providing a great visual experience, the plugin is designed to be fast, customizable, optimized for mobile, and has built-in analytics. Automatic triggers and after-share actions help to increase your visitor interaction rate and you can also use the plugin to build your mailing list, with integration for 8 of the most popular mailing list services. Integrated split A/B testing allows you to setup up to 3 different share button layouts and configurations to see which version works best. If you’re feeling a little sneaky, you can even enter fake share counts to make it look like more people have shared your content and encourage further sharing through social proof. Super Socializer is an all-in-one social plugin for WordPress. As well as giving you an easy way to add social sharing buttons to your site, you can also implement comments via Facebook and other social networks, and activate social login for site users. It comes with lots of different options for customizing buttons the way you want them with a choice of square, rounded, or circle buttons and various color and other options. 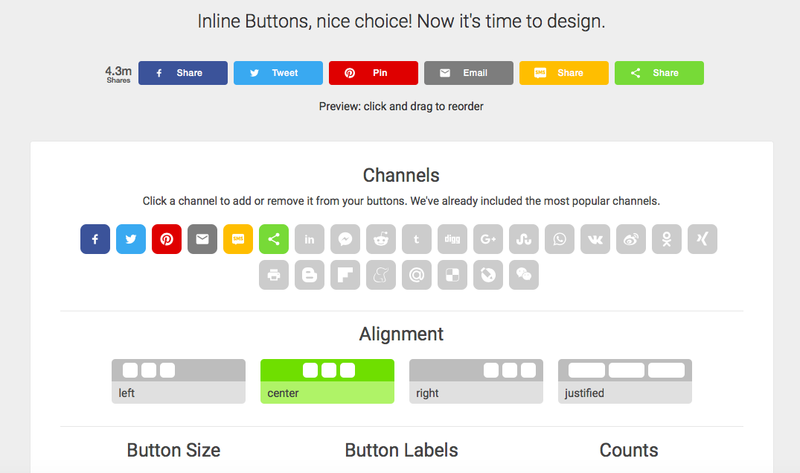 If you want to stray from the standard colors and styles of social buttons, this may be a plus point for you. This is a popular plugin for website published in non-English speaking countries as it comes with support for several different languages and supports around 100 social networks including ones you’ve probably never even heard of. It also integrates with WooCommerce and you can enable social login at checkout and customer login and enable sharing of WooCommerce products. Social comments can be enabled from Facebook Comments, Google Plus Comments, Disqus Comments. This is a free plugin, it’s fast and it works well. If you’re looking to add more social functionality to your site than sharing buttons alone, it’s a good choice. Sumo is actually a suite of tools for websites designed to automate growth. As well as the Share tool there’s also a list builder pop-up, “welcome mat” with a call to action or email capture for new users, and a “smart bar” with call to action. Sumo share buttons are designed to make it extra easy for visitors to share your content, so much so that they claim you can increase your traffic by 20% just by using the share buttons. The buttons look great both on mobile and desktop and are easy to set up from the backend. You can also run analysis to see which days your content is being shared and which social networks are the most popular. A handy feature of Sumo Share is their “Smart” mode, which automatically displays different sharing buttons in an optimized order on each individual page basis to encourage more shares. Sumo is free for new businesses and small sites with up to 200 subscribers. The pro plan, which allows you to remove the Sumo branding and offers extra features, starts from $24 a month. Shareaholic is another very popular sharing plugin and you’re sure to recognize the buttons from browsing around the web. The suite of tools including related content and monetization options is even used by some big websites like Vistaprint and Hootsuite. Shareaholic integrates with hundreds of social sharing platforms and their buttons are highly customizable with support for Google Fonts, various WordPress themes, and foreign languages. Another handy feature is the after-sharing functionality, which displays a popup to users who have shared your content, asking them to follow you on social media. This can be a great way to get your followers up as anyone who’s already shared your content is more likely to want to follow your social channels. When you use Shareaholic buttons you’ll also have access to Shareaholic analytics, which will show you your best performing social networks and provide you with actionable insights to optimize your content. One potential downside of this plugin is that it includes all the Shareaholic tools. This combines the functionality you can get from various individual plugins including Jetpack, Contextual Related Posts, and so on, but potentially adds a lot of bloat to your WordPress installation if you won’t be using these functions. You can install Shareaholic for free but it’s “ad supported” meaning you’ll be displaying ads on your website. To remove these ads you’ll need to sign up for one of the pro plans, which start at $8 a month. Mashable publishes some of the most shared content on the web, with many of their articles being shared millions of times. They’re obviously doing something right (apart from publishing great content of course!) so if you don’t want to reinvent the wheel, this plugin replicates their eyecatching share count and button styles. The plugin is free for the basic share counter, Twitter and Facebook share buttons, and mailing list subscribe buttons. Free and paid add-ons extend the functionality with additional customization options, more social networks, social sharing optimization, share bar, responsive behavior, analytics, and more. Which is the Best Social Sharing Plugin? If you’re after a free plugin that simply displays some nice looking social sharing buttons, ShareThis does the job without slowing down your site. If you’re after more advanced options and are open to paying for the extra functionality, you might like to try out one of the other premium plugins such as Social Warfare, Easy Social Share Buttons, or any of the other plugins, depending on your individual needs.